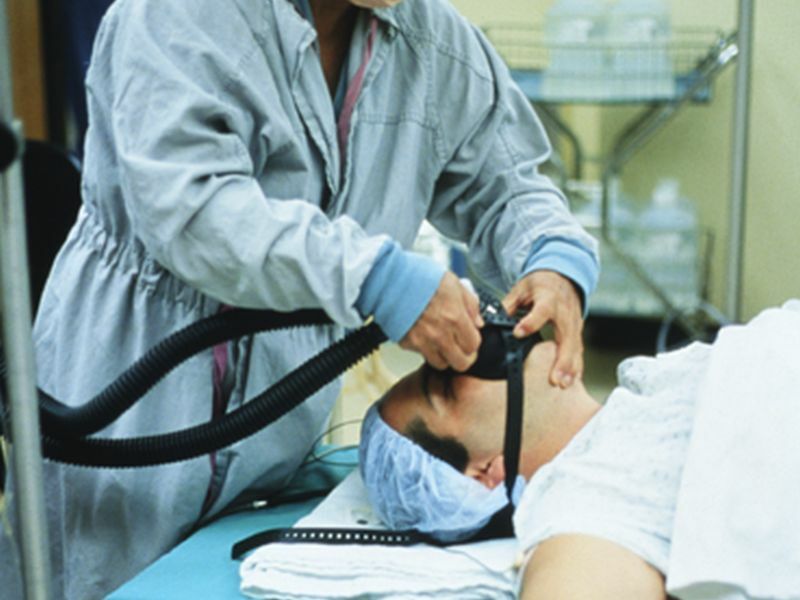 SUNDAY, Oct. 25, 2015 (HealthDay News) -- Nitrous oxide, commonly known as "laughing gas," is a safe anesthetic for surgery patients who have or are at risk of heart disease, a new study finds. The findings are "welcome news because nitrous oxide is widely used around the world as part of the mixture of agents for general anesthesia," lead author Dr. Kate Leslie, a professor at Royal Melbourne Hospital in Australia, said in an American Society of Anesthesiologists news release. "Nitrous oxide is inexpensive, simple to administer and helps with pain as well as anesthesia," she added. The research included nearly 6,000 patients. All had surgery that didn't involve the heart. The study volunteers received either general anesthesia with nitrous oxide or general anesthesia with nitrogen. A year after surgery, there was no difference in rates of heart attack, stroke, disability or death between the two groups, the study found. The study is to be presented Sunday at the annual meeting of the American Society of Anesthesiologists, in San Diego. The study will also be published online Oct. 25 in the journal Anesthesiology. "This helps alleviate concerns raised in recent years about the effect of nitrous oxide on the heart and vascular system," Leslie said.